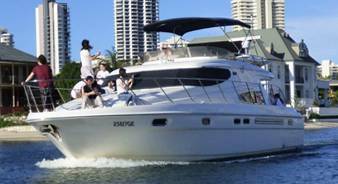 Atlantic Princess is a classic luxury motor yacht, providing the ultimate experience for a truly luxurious holiday, corporate events, private functions, Christmas parties for up to 30 guests. 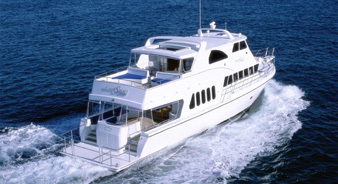 Atlantic Princess is a classic luxury motor yacht, providing the ultimate experience for a truly luxurious holiday. 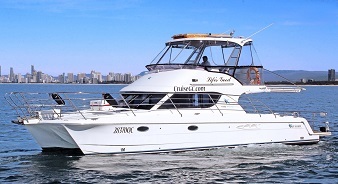 Launched in 1991 and refitted throughout in 2008, this 24-meter (86 ft) motor yacht offer affordable luxury. 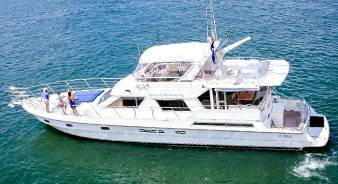 Atlantic Princess is based on the Gold Coast Australia and is ideal for a long weekend exploring the intricate waterways of the Gold Coast and Moreton Bay. Her 3 cabin layout, external dining areas and large sunbathing areas on the flybridge create the ultimate platform to explore in comfort and luxury. With a guest capacity of 30 for day charters, Atlantic Princess can host corporate events, private functions, product launches and Christmas functions.